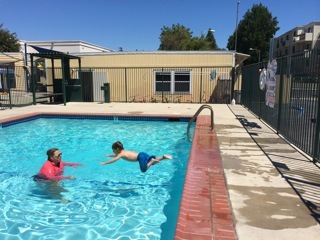 TSONS swim lessons are gentle, age appropriate lessons designed specifically for early childhood. The instructors stress buoyancy and flotation with a calm and gentle technique which is easy for young children to master. We will never force a child underwater. The first lessons are simply an introductory water experience in which parents may also participate. As a child progresses, he or she will learn correct swim strokes and techniques. Many soon learn to dive into the pool and swim from one end to the other. Lessons usually begin in early May. Times are flexible beginning at 9:00am until 5:00pm. Lessons wrap up at the end of August. All lessons are private, 20-minute sessions. For children learning to swim, 2-3 days a week is recommended. Lessons are purchased in sets of six. The cost for six private lessons is $250.00. For toddlers (under 2 ½) once a week is sufficient. These lessons are purchased in sets of four. 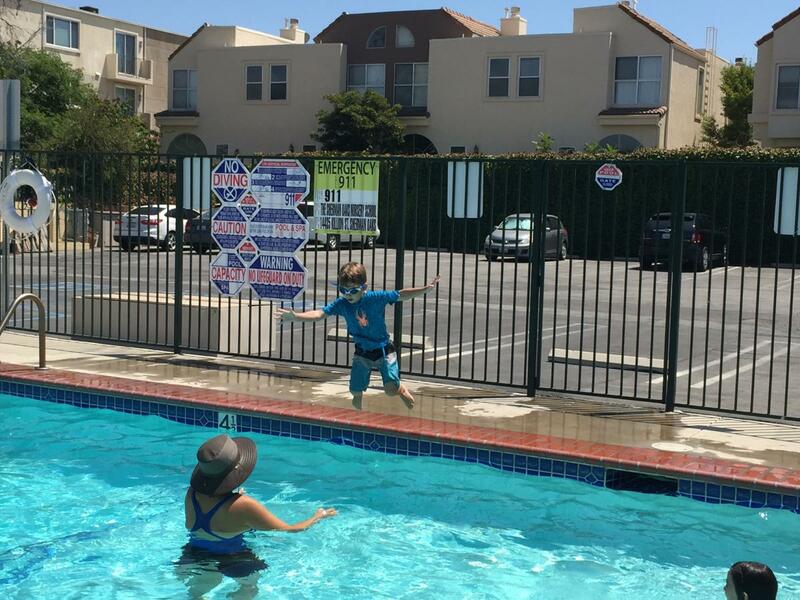 The cost for four private Toddler lessons is $100.00. Lessons must be cancelled with 24 hours notice by email to [email protected] or phone the school office at 818-787-6481. One make-up lesson per six lessons, or four lessons for toddlers, will be made available for any missed lessons. All lessons are held in TSONS’ large, heated swimming pool.